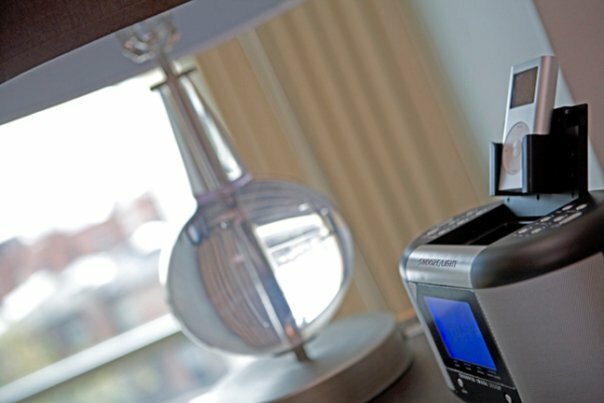 The Colonnade Hotel is an exceptional luxury hotel located in the heart of Boston’s Back Bay neighborhood. 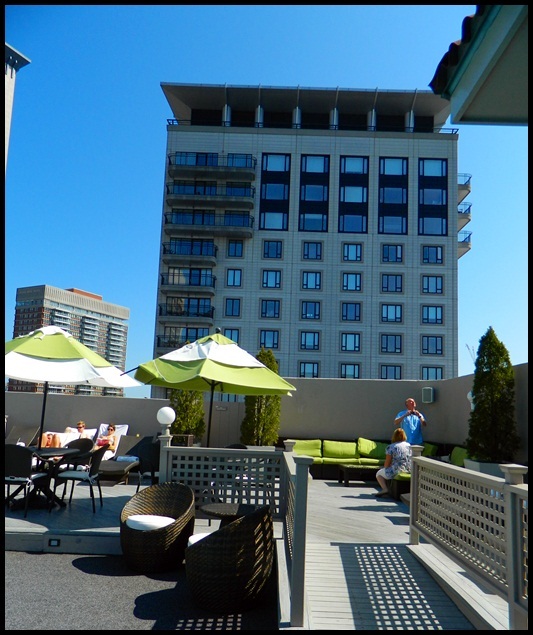 Many factors make The Colonnade stand out from the competition, such as being home to Boston’s only rooftop pool located 11 stories up in the Boston skyline, adding a touch of Hollywood glamour to this urban oasis. 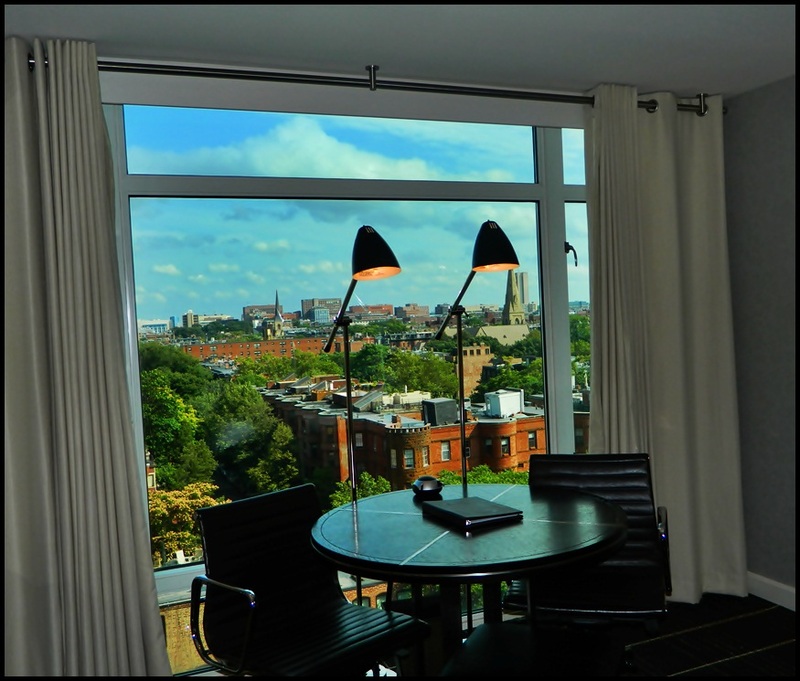 My partner and I enjoyed a wonderful stay at The Colonnade this past weekend. 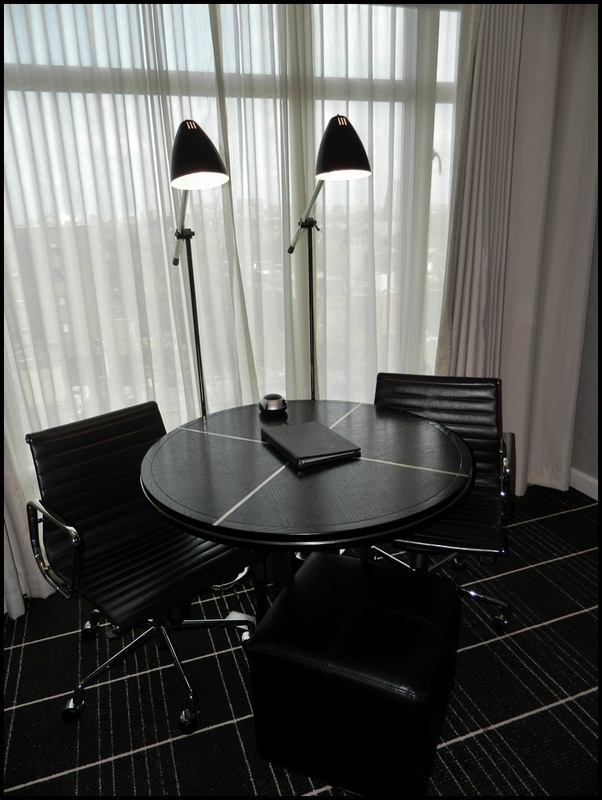 The hotel has a modern, sleek interior with an extremely friendly staff, including a concierge, eager to assist with all your travel needs. 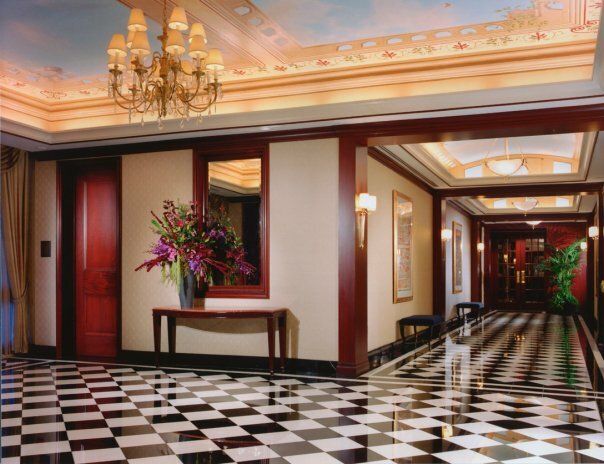 In business for more than 39 years, the Four Diamond Colonnade Hotel recently completed a $25-million dollar renovation. 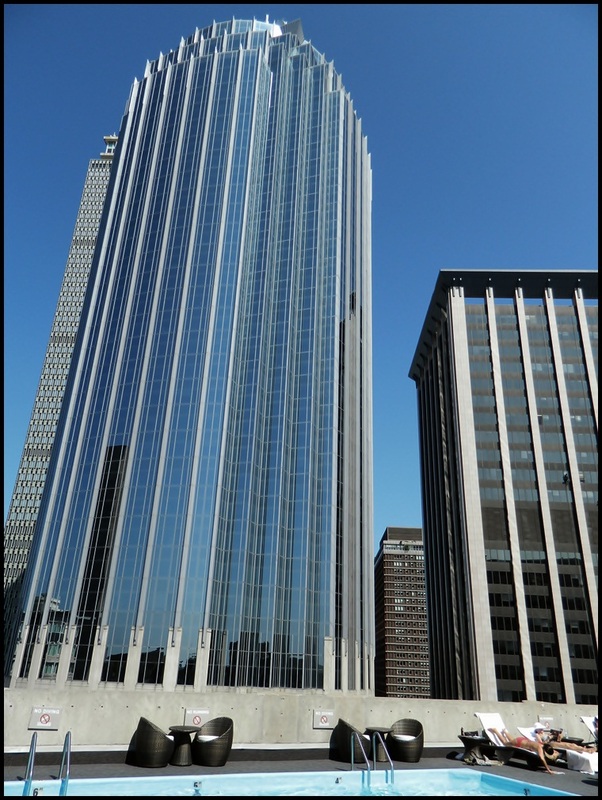 The renovation included the creation of the city’s only rooftop pool, the award-winning Brasserie JO, remodeled function rooms, grand ballroom and guestrooms. 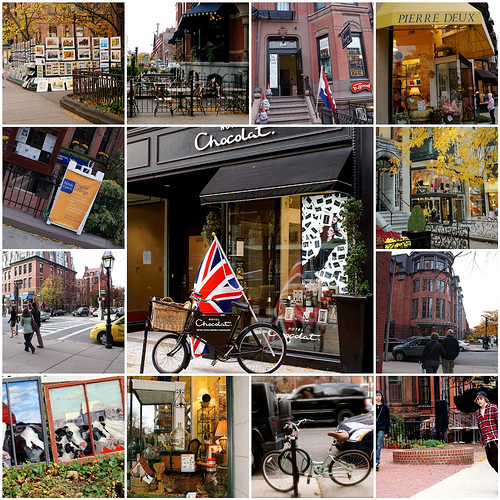 The Colonnade is walking distance to fashionable Newbury Street, often referred to as “the Rodeo Drive of the East” with its eight blocks of historic 19th Century brownstones, salons, boutiques, and dining spots. 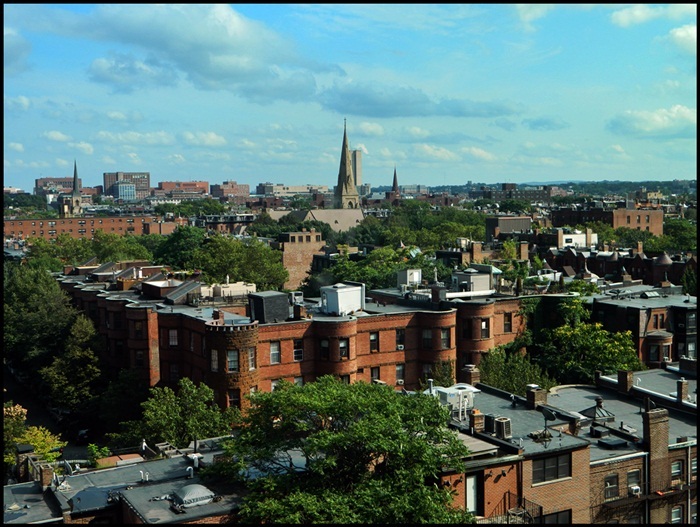 In addition you are also walking distance to many of Boston’s fines museums, galleries, and landmarks including Hynes Convention Center, Symphony Hall and Fenway Park. 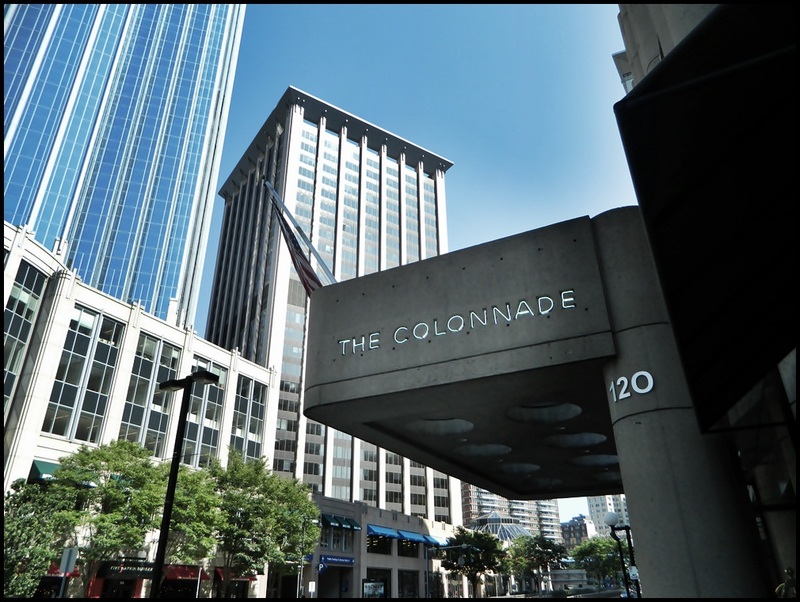 The Colonnade is located across the street from the Prudential Center, the Prudential Center “T” stop, and one block from Copley Square shopping mall. 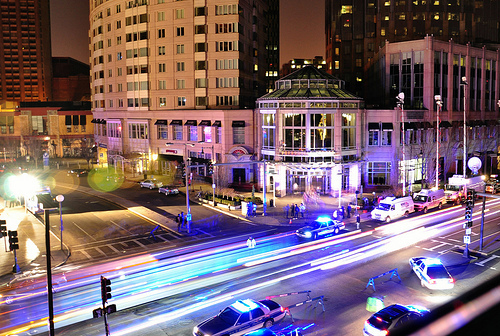 Also important to note is the close proximity to Boston Logan International Airport which is under 15 minutes away. Check in was fast and quick and before we knew it we were heading to our room. 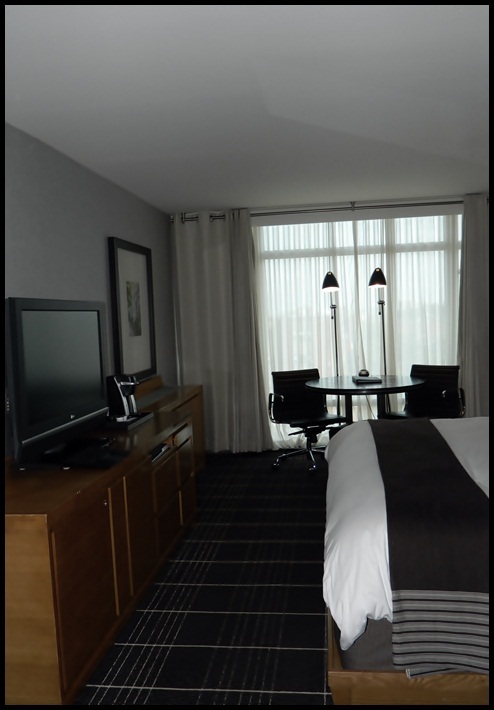 We stayed in a luxury king guestroom on the 9th floor, room, # 908. 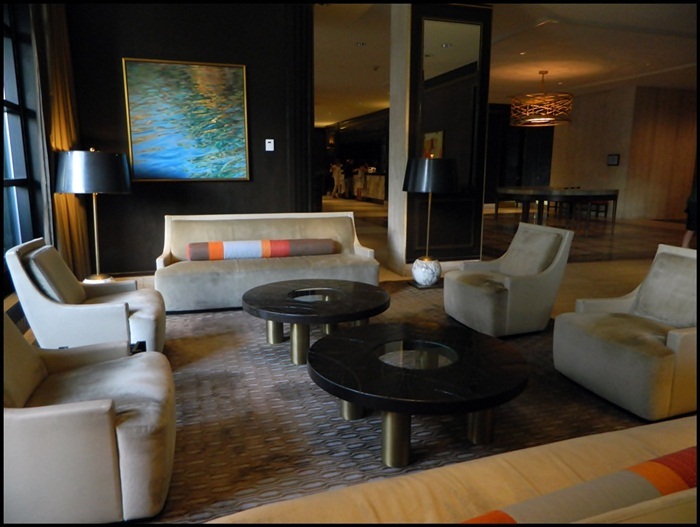 I loved the handsome, stylish, smart feel of the room with it’s earth tone coloring of chocolate browns, chrome, black and purple accents. 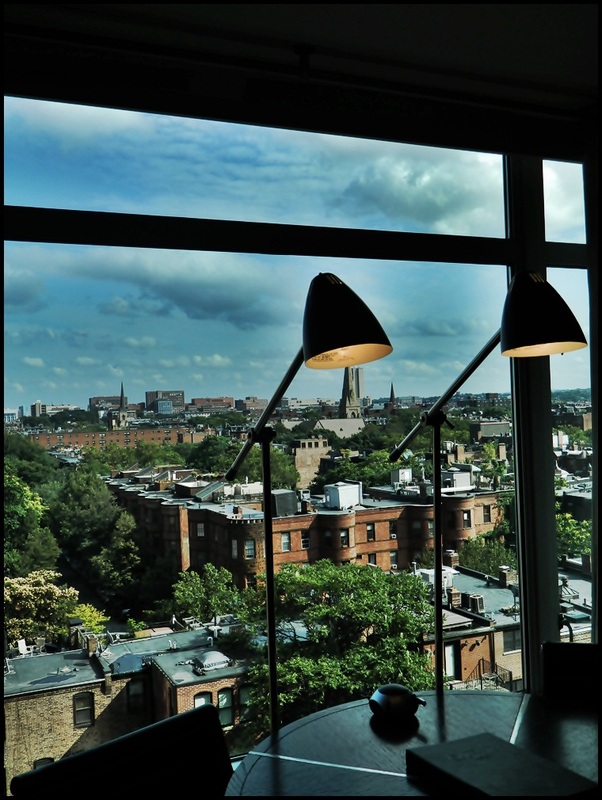 Floor-to-ceiling windows offering breathtaking views of downtown Boston which open, providing guests with fresh air, an option generally not available in city hotels. On-Site Covered Parking for a fee (cost $38 to park overnight with in/out access). 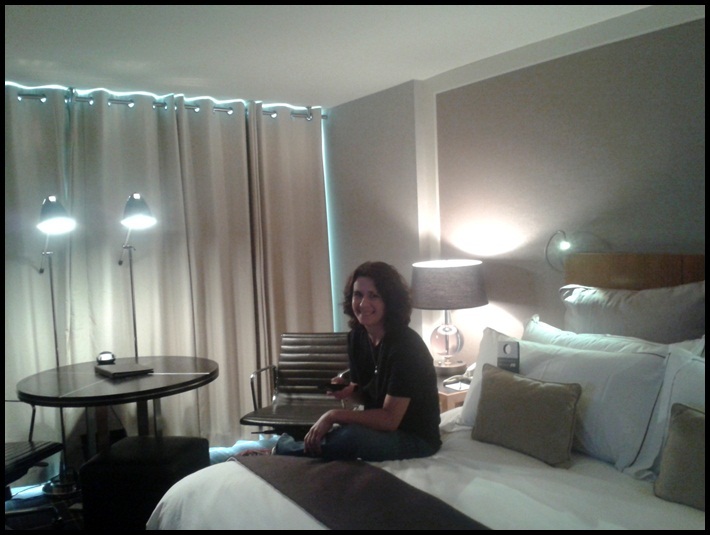 Jen and I were so pleased with our room we decided to order room service and enjoy the spectacular views. Room service, provided by Brasserie JO, was delicious, not to mention delivered extremely fast. I believe it took under 20 minutes to arrive! 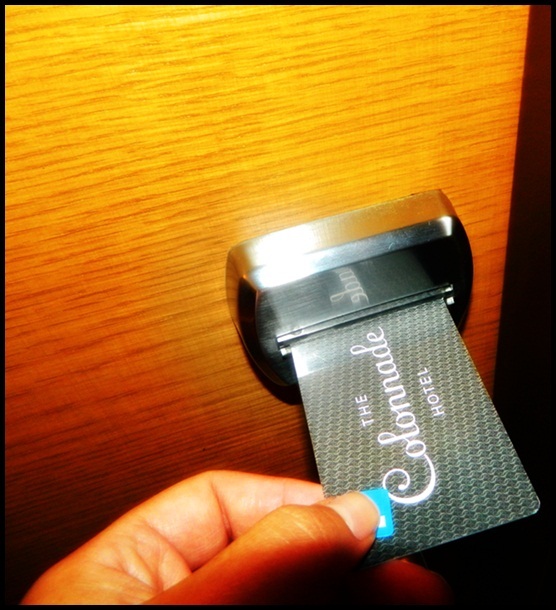 Pets are more than welcome at The Colonnade Hotel! 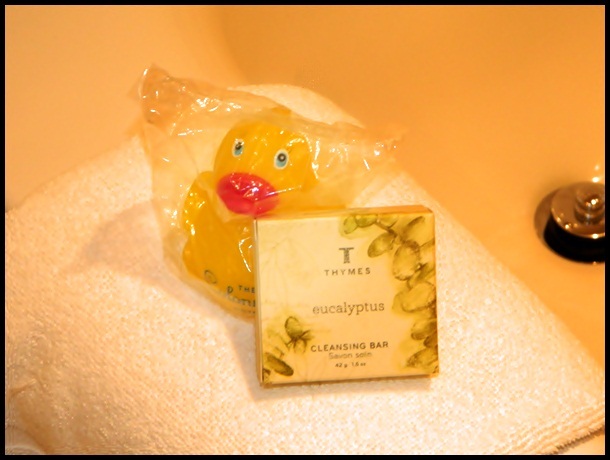 As a matter of fact, The Colonnade Hotel received the highest rating, 5 PAWS, by “Pets Welcome” written by Kathleen and Robert Fish. Complimentary use of a fluffy pet bed and food bowl. Three brands of dry dog and cat food to choose from including: Purina One, Iams and Pedigree dog food brands. 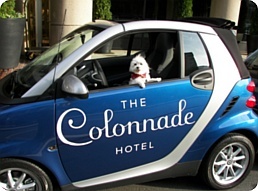 The Colonnade Hotel is happy to provide pet walking services through their Concierge. A service fee of $15.00 per walk will be added to bill. The fee is in lieu of a gratuity, and will be paid to the staff member that cares for your pet. The Concierge staff is happy to assist with arranging veterinarian services, pet sitting services, dog grooming and spa services for guests. As a small favor, the hotel would be extremely grateful if you signed their Pet Register at the Front Desk. This way, they can add you to their list of pet members which entitles you to special benefits and offers for future visits. out the morning prior to check-out. 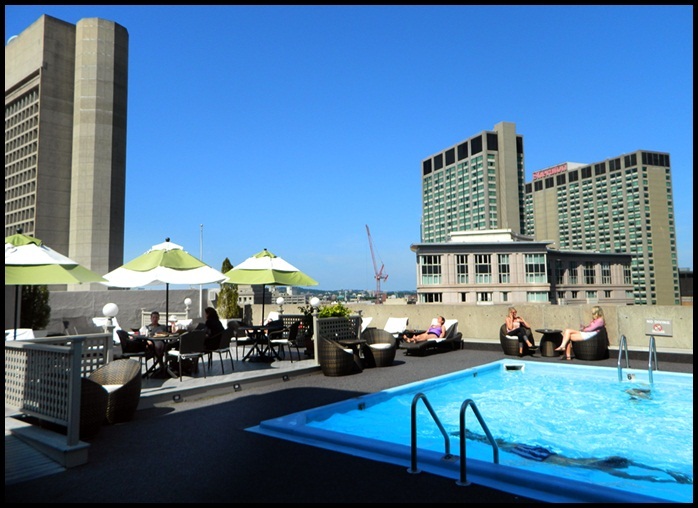 The Rooftop pool absolutely separates The Colonnade from any other hotels in the area. What an absolutely, captivating, glamorous spot! 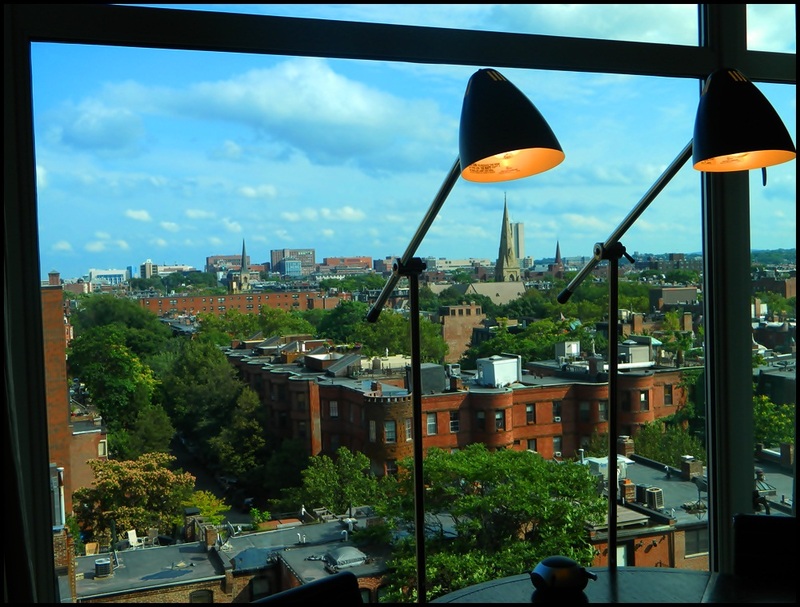 The views of the Boston skyline will leave you speechless. I felt as if we had just walked into a private party of some sort. This is the PERFECT spot to escape the summer heat with a swim in the pool or with a tropical drink underneath a shaded umbrella. Pool Hours 8am-8pm Monday-Friday and 8am-6pm Weekends, weather permitting. 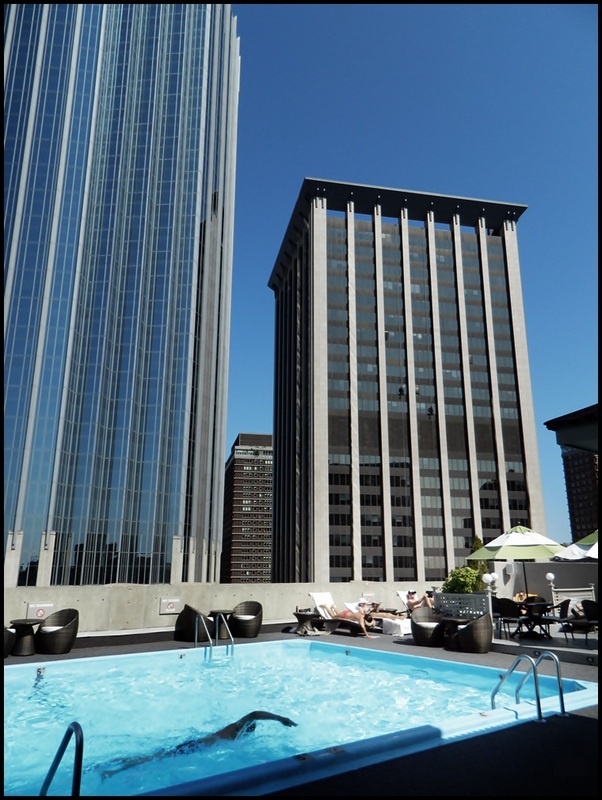 The Rooftop Pool is available on a first come first served basis. 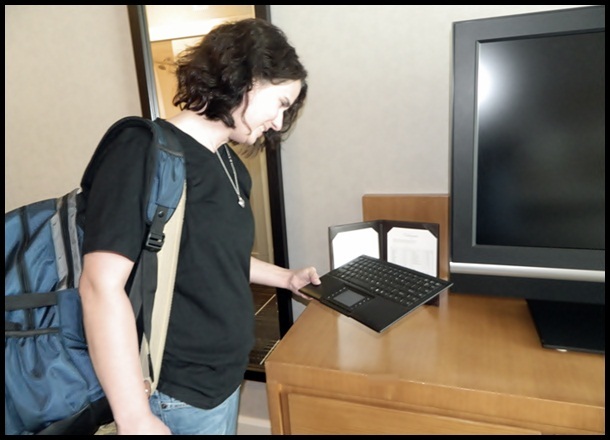 *Hotel guests arriving on Friday, Saturday or Sunday are granted access after they are checked-in to the hotel, no earlier than 12:00 Noon. 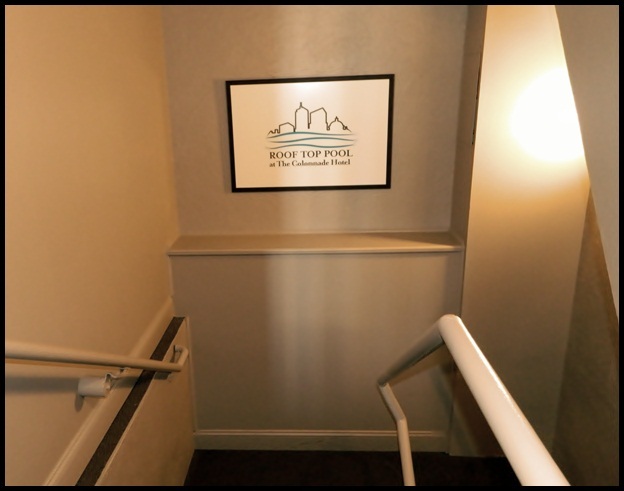 Guests may not access the rooftop pool area unless they are checked in to the hotel. This is in deference to our guests who wish to utilize the pool prior to their departure at Noon. Open to the PUBLIC: Monday-Friday for a flat fee of $50 per person full day and $25 per person from 3:00 PM until close. Excludes weekends and holidays. Child rates are the same as adult rates. The Rooftop Pool is very popular and tends to fill last minute. 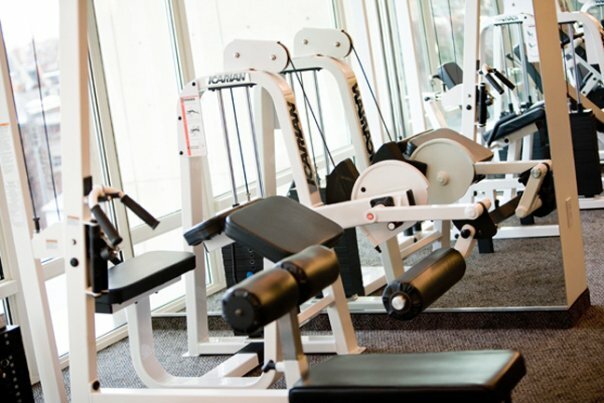 Please call 617-425-3408 directly before you intend to arrive to check on space availability. Space is not held in advance nor do they take reservations for space. In order to protect the enjoyment of all guests, please be informed that the Rooftop Pool is not conducive for groups and small gatherings. 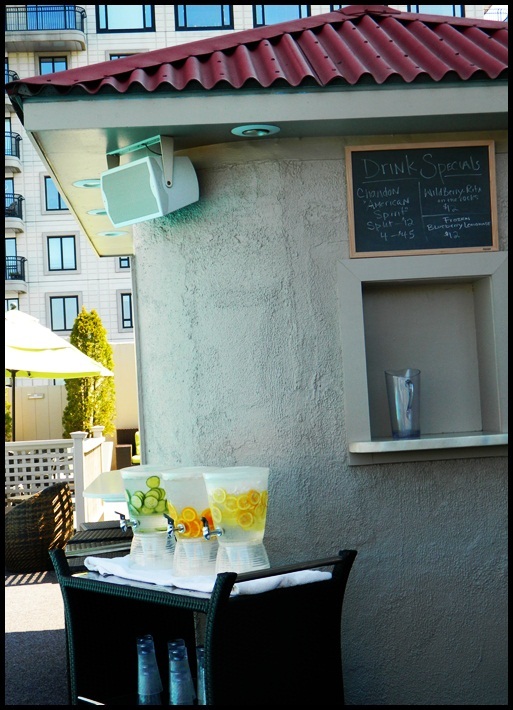 If you would like to book a private event, please contact the sales department at 617-425-3216. 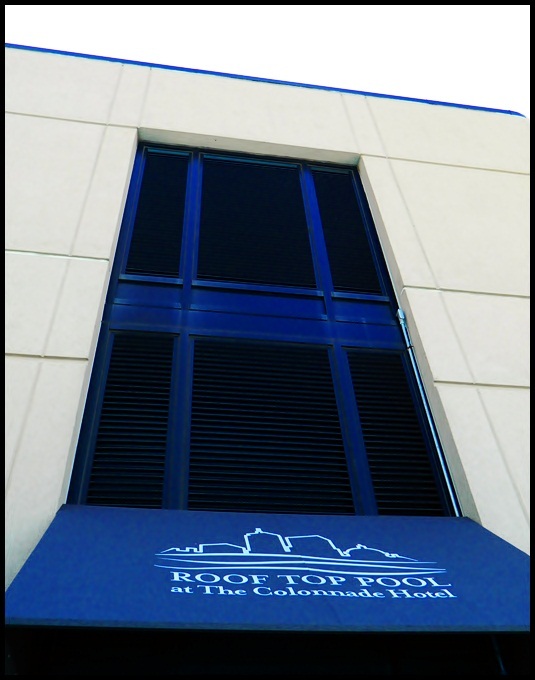 In consideration of hotel guests, the Rooftop Pool is NOT open to the public on Saturday or Sunday. 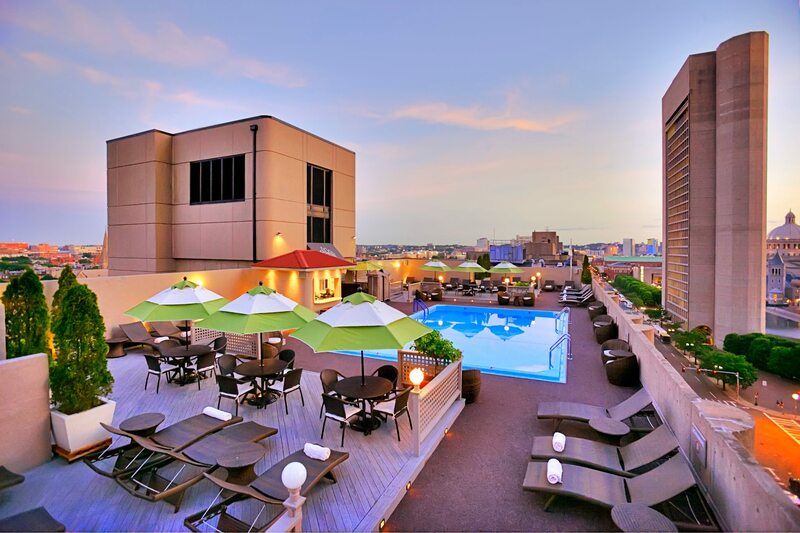 All food and beverages must be purchased at the Rooftop Pool and may not be brought in. Changing rooms and showers are available at the pool. 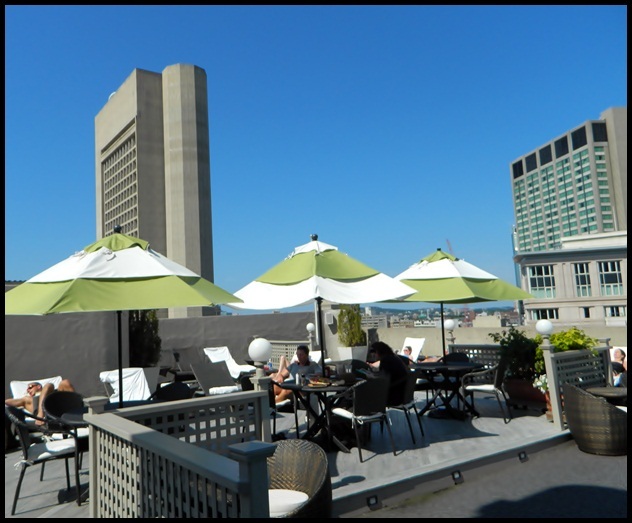 Note: The Rooftop Pool may be closed to the public, hotel guests and The Colonnade Residences on occasion when it has been rented for private use. 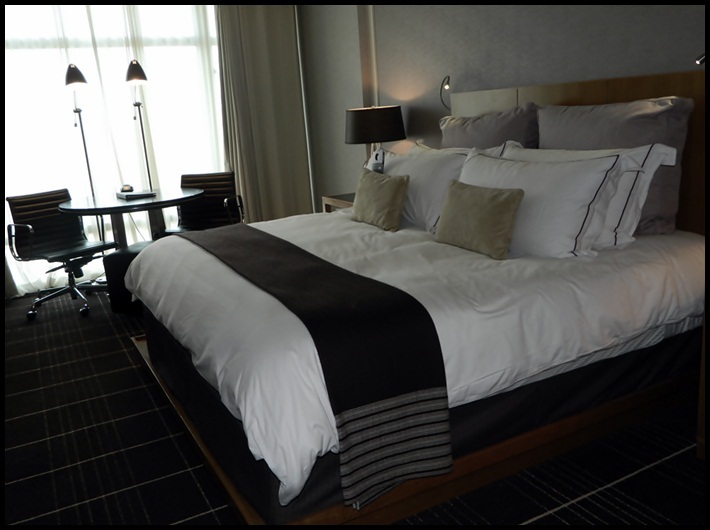 WEDDINGS: The Colonnade Hotel is a perfect choice for your wedding! Click HERE to find out more information on the wedding services they provide. 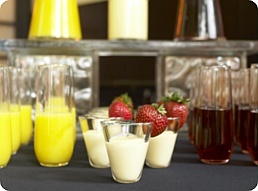 MEETINGS / EVENTS: The Colonnade Hotel has plenty of room for your next meeting, seminar of special event. Click HERE for more information. 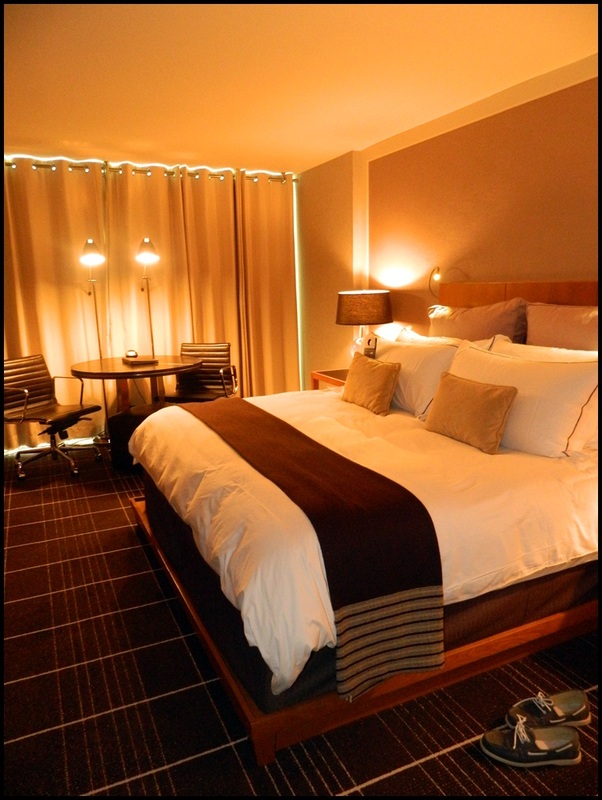 SPECIAL DEALS: The Colonnade Hotel offers special package deals throughout the year. For the latest offerings, click HERE. 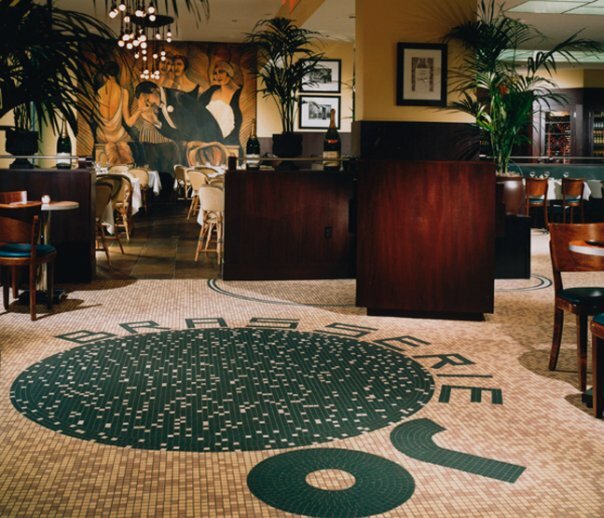 ON-SITE RESTAURANT: Brasserie JO. Click HERE for more information. 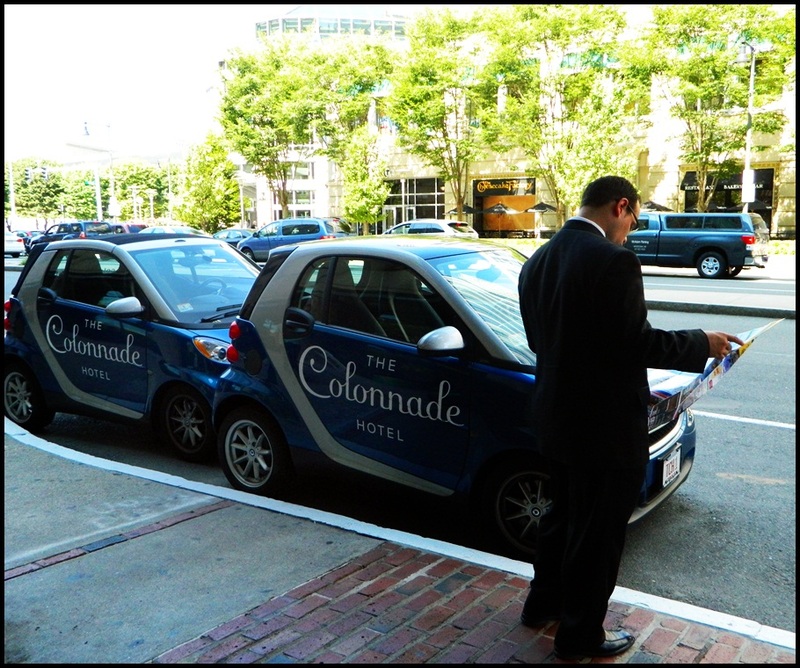 he Colonnade Hotel is one of these places. 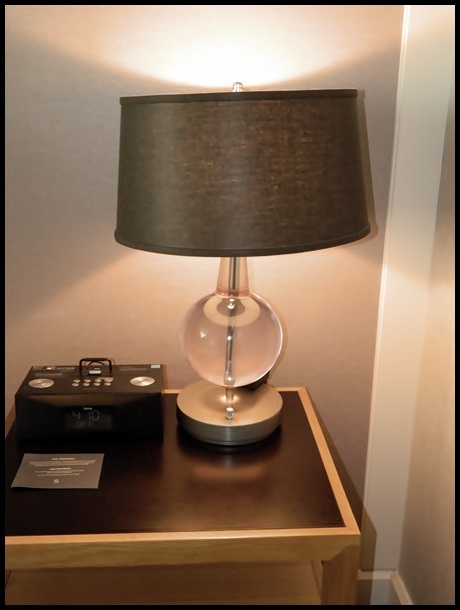 Not only will you fall for the hip, modern, sleek design of the hotel itself, you will fall for its top-of-the-line amenities, attention to details and customer service. 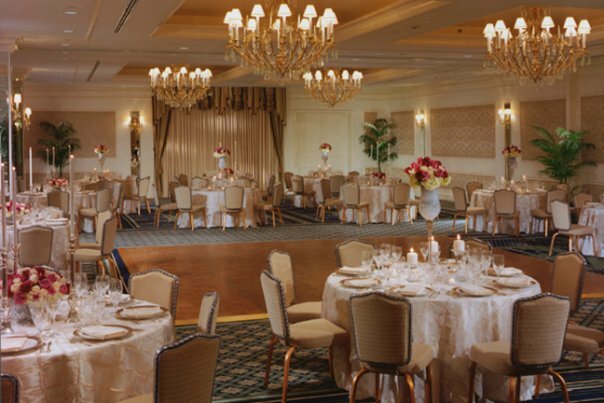 As a matter of fact, The Colonnade Hotel would be an excellent choice to host your wedding reception! I could think of no better place then their gorgeous ballroom for the reception and then a romantic swim under the stars on their rooftop pool. And you absolutely must dine at Brasserie JO. The quality of food is devine. 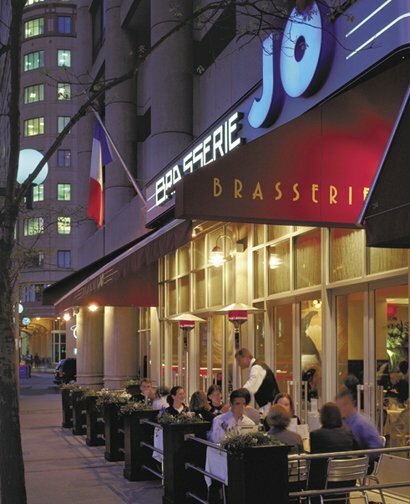 Brasserie JO is one of the best restaurants for dinner after seeing a play or prior to clubbing. 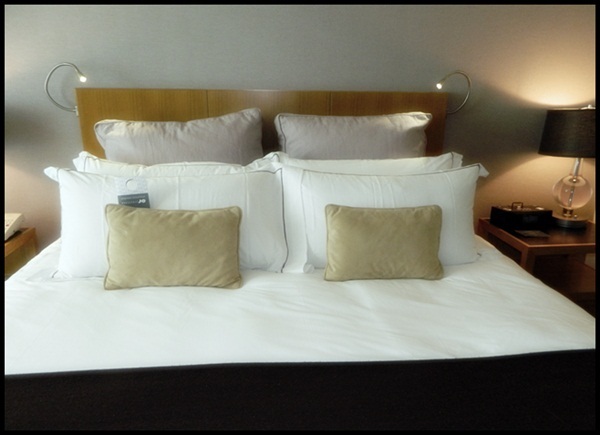 I am wholeheartedly “OUTING” The Colonnade Hotel as LGBT friendly and worthy of our business. 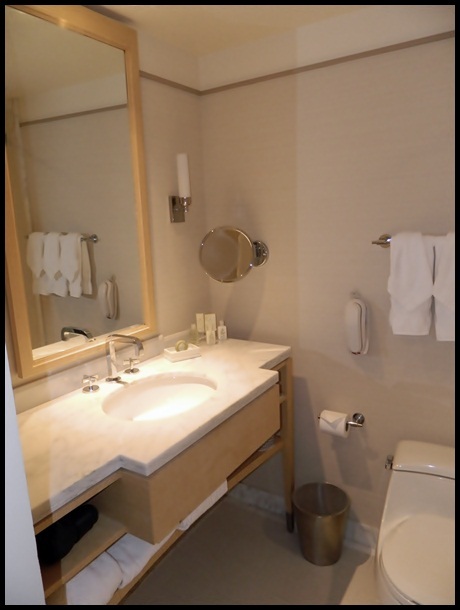 Everything about our stay at The Colonnade Hotel was fantastic. The only thing I would change is having MORE TIME to experience their rooftop pool, but we will be back for sure.